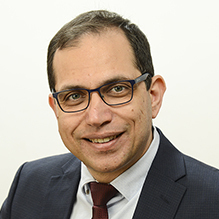 Dr Hamid Alhaj is a highly experienced Consultant Adult Psychiatrist currently working for Sheffield Health and Social Care NHS Foundation Trust. He has a Medical Degree, PhD in Psychiatry and Diploma in Clinical Research. Dr Alhaj is also Section 12(2) Approved and is a Member of the Royal College of Psychiatrists. He has over 6 years’ experience working in the NHS with Adults suffering from mental health issues. Dr Alhaj is able to assess and treat a wide range of disorders, including Anxiety, Depression (including Post-Natal), Adult ADHD, Autism, Stress and Forgetfulness & Dementia. His therapeutic methods include valid psychological models as well as pharmacological treatments tailored to patients’ needs. Dr Alhaj is Section 12(2) Approved and has conducted hundreds of assessments in a variety of settings and situations. He has also given both written and oral evidence for various services. Described by his peers as a thoughtful and extremely knowledgeable clinician, Dr Alhaj is dedicated to maintaining and improving the quality of care for his patients, utilizing his broad range of skills in psychiatry and medical education. We are pleased to welcome Dr Alhaj to Clinical Partners. You don't need a GP referral to see Dr Hamid Alhaj.